When Dexter falls victim to a terrifying creature brought forth by his latest invention, Dee Dee goes back in time to warn him. The events only end the episode with a permanent time loop. When Dexters new invention for the science fair proves to hard for him to handle on his own, he is forced to find a new assistant. When no suitable assistant can be found, he takes on DeeDee, but only after giving her some new brains. Mandark enrols at Dexters school, quickly overshadowing Dexter and forces Dexter to shut down his lab to add more power to his own lab. 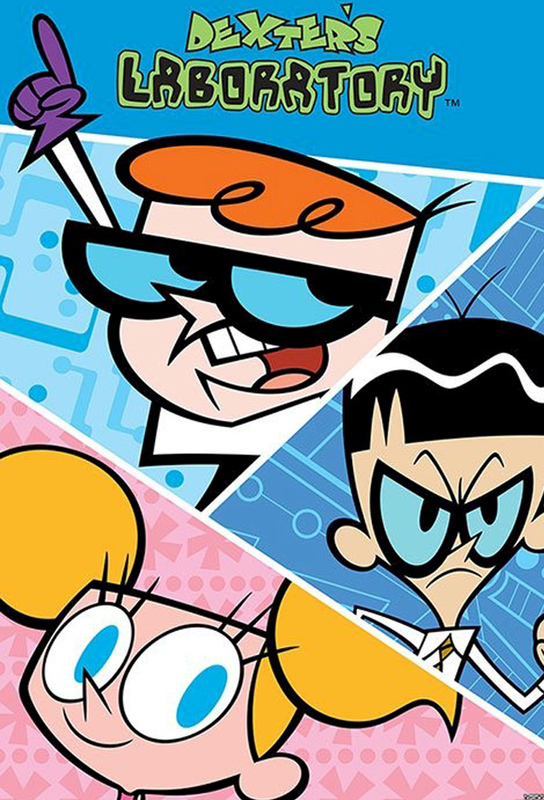 When Mandark falls in love with Dee Dee, Dexter sets up a date between the two (only because he knew Dee Dee would destroy Mandarks lab). In order to rid himself of Dee Dee, Dexter clones himself. However, Dee Dee, and her friends, Mee Mee and Lee Lee do the same, causing havoc. Monkeys birthday is interrupted by Barbequor, a villain who wants to roast Earth for his next meal. Dexter creates a Tyrannosaurus Rex that has the brain and heart of a dog, and Dee Dee makes him her pet. Orgon Grindor uses his hypnotic powers to make Monkey abandon his night with Agent Honeydew and steal the gold from Fort Knox. After working himself to hard, Dexters brain snaps and he turns into, well, a dimwit. Dee Dee seizes the chance and has the now mind dead Dexter do some crazy things for the neighborhood to see. To find his missing invention, Dexter heads into the one place he fears to go: Dee Dees room, where cooties run rampant. Monkey must fight for his life against a hunter on a jungle asteroid. Dexter and Dee Dee enter the tryouts for Major Glorys sidekick. Mayor Glory, Valhallen and Krunk want to watch different shows on TV at the exact same hour. A videogame takes over Dexters lab. Unable to win the heart of his babysitter, Dexter ages himself in the hopes of having better luck. Major Glory and Krunk must find Valhallens guitar before he loses his powers. After Dexter shrinks himself to doll size, he becomes an unwilling character in Dee Dees doll story. Due to a side effect of shrinking, he starts to confuse fantasy with reality, and starts to believe the story is real. Krunk falls in love with a female version of him, She-Thing. Dexter decides to study french with an old record, but when the record repeats constantly Omellete du fromage, it becomes everything Dexter can say. Dee Dee tries to get Dexter to loosen up. It works, but Dexter ends up trying to destroy his lab. Dee Dee realizes her mistake, that she tried to change who Dexter is. Mayor Glory has one week to teach Valhallen and Krunk some manners before his Uncle Sam arrives. Dee Dee, LeeLee and MeeMee are having a pijama party, which Dexter decides to explore to learn the behaivor of other species. To get rid of some aliens, Dexter offers Dee Dee as a test subject tricking her into thinking theyre going to candy land. The guilt drives Dexter crazy and he goes to rescue her. The aliens willingly gives Dee Dee back (she wrecked their ship looking for candy). While searching the basement, the Justice Friends discover a new hero with the special ability of repairing. Somehow Dexter got a debt of 200 million dollars with the NASA, so he must find a way to get the money. Major Glory goes crazy trying to get a bee out of the apartment. Dee Dee tries on Dexters inflatable suit, and is swept away on the wind. In getting her down, Dexter accidentally destroys the suit. Dee Dee fixes it by tying balloons to it. Major Glory tries to keep White Tiger out of his property with Krunk to help him. Dexter accidently turns Dee Dee into a monster, so he has to turn into one himself to stop her.